So are (some/most) UAVs compared to a manned airplane. First of all thanks to EyeInTheSky , FSTO and others for your understanding. Regarding "balloons" or Zeppelins I think that, apart from winds and weather, they may be good for static surveillance near the borders, however flying them above a naval unit or task group would be like a "show off" , "here I am" making the units be discovered earlier. I would also like to talk about the Bell V-280 Valor, which could be developed, thanks to its long range and endurance, into a great AEW aircraft. Might it work as well as an ASW unit, based on land to cover the Artic (for about half a year)? Could use both surface radar and a diping sonar in remote areas (up to 1000-1400 km) from their base. Hopefully it could be produced in Mirabel (QC). For the ASW asset part for the Arctic...I'd say no, there are better choices. Fixed wing with better speed, altitude and load capabilities and much greater range. Dipping sonars are great but so is being able to deploy a sonobuoy field, then climb back up to higher altitude and employing every other sensor you can, conduct comms. Low flying also = higher fuel consumption rates which = less on station time (not usually a good thing). MH, AFAIK, rarely if ever operate independently from the force they are attached to, whereas MPAs can work areas 'on their own' and cover some significant waterspace doing so. 280kts is fast compared to the SeaKing, let's say, but slow compared to a P-8 and slower than a P-3/CP-140. MPAs like to climb to a high transit altitude for speed and fuel efficiency, one of the things the old Argus did not do very well. Get there fast, sanitize as large an area as you can. I'm personally a big fan of concurrent activity; drop down low to get your sono's in the water, at the same time you're running for MAD...able to use all your other sensors including the Mk1 eyeball. Off the top of my head, the speed and range looks nice compared to most MHs, but I'm not sure we own anything that could house that airframe (thinking AOPS). The only choice for Arctic ASW is a SSN. Or not doing it. Personally, not doing it is the best option. What's an enemy sub going to do in the arctic aside from nuke us? And realistically SSBNs are a second strike capability, designed so the enemy can't take them out in a first strike. Even during the height of the the cold war the USSR generally kept their SSBN's in home arctic waters behind a layer of SSN's, SSK's and aircraft to protect them from NATO subs. There is nothing in the Arctic economically valuable enough to protect, no trade lanes, no merchant ships, no geopolitically valuable targets (well one might consider the environment and the people valuable enough, but not from a military standpoint). In the future that might change, but right now it's really not worth it. I would agree if this was in international waters, but its our backyard. Does it matter whether its a Russian SSN or SSBN? Either way, if we give up (or keep giving up) our responsibility over a territory, then is it really ours? Nobody should look at population levels in order to see if something is worth protecting. In that case, we shouldn't mind a Russian SSN floating off north shore PEI. Buy RCN 2 Barracuda SSNs then 4 SSK Shortfins (V-Class replacements) and call it a day. Would the Sôryû-class AIP type SSKs work just as good? Lot cheaper than nukes. Nothing is better than nuclear for under-the-ice patrols. If non-nuclear AIP was as good, the Americans, the Russians, and the Brits would have switched by now to non-nuclear AIP. For under-the-ice patrols, underwater operation is going to be limited by the oxygen supply. A nuclear reactor can be used to dissociate seawater. In theory, non-nuclear AIP can be used for limited under-the-ice patrols. But I do not think any non-nuclear AIP submarine has made this attempt. What's an enemy sub going to do in the arctic aside from nuke us? In 'peacetime', make compelling territorial claims based on going there and planting flags on the sea floor? That's not compelling in any way. Based on the UN Convention of the seas which requires scientific data to sort out your arctic claims. Arctic claims will be sorted out peacefully and within the rule of law, despite a oligarch funded propaganda mission. And it wasn't done with a military submarine either but a civilian research submersible (some call it a mini sub but that's a misnomer). A submersible and a submarine are very different things. The rule of law only works with Xi and Putin if they get their own way. "based on the UN *anything*" and "will be sorted out peacefully" don't leave me feeling very convinced, honestly. There is a potential for conflict over the resources; resources that are becoming more and more scare and expensive. Maybe not today, or tomorrow...Russia is far more capable of operating in the north, in numbers, than Canada is, IMO. Interesting article from a Captain in the USMC arguing for more helicopters and fewer Amphibs, Rigid Raiders, LCUs and LCACs. The argument is that only helicopters have the range, speed and maneuverability to successfully land troops. They permit their host platforms to stay out of range and out of sight over the horizon. They can land behind or beside the enemy, are less predictable, can debus their cargoes closer, and can cycle between the host platform and the objective more frequently than any of the alternatives. Amphibs are too slow and predictable, as are RHIBs, and require the hosts to move to close to shore. The troops have to debus at the surf line in the face of enemy fire. LCUs and LCACs can move heavy cargo but only once a beach has been secured and the bullets have stopped flying. The Captain argues for fewer LPDs and more LPHs with more helos. I suggest, based on the Captain's prescription that this has knock on implications that could affect a Canadian BHS. The first thing is that any ship that is built does not need to be built to manage the close approach threats of the littoral combat zone. It needs to be a blue water ship. The second thing is that it needs a flat deck and a capacious hangar for multiple helicopters. Assuming that the host isn't going to enter in the battlezone and that heavy equipment needs to be lifted ashore when the situation is sufficiently quiet then LCMs/LCUs, slow as they are, would still provide a useful capability and so a well deck would also be a useful but not imperative addition. My suggestion is that LCMs/LCUs will find a home working with the Afloat Support Bases the US Navy is working towards. Those bases are constructed largely of ships built to civilian standards and include floodable ships like the Expeditionary Mobile Base and the Expeditionary Transfer Dock both of which derive from the civilian Alaska-class VLCCs. 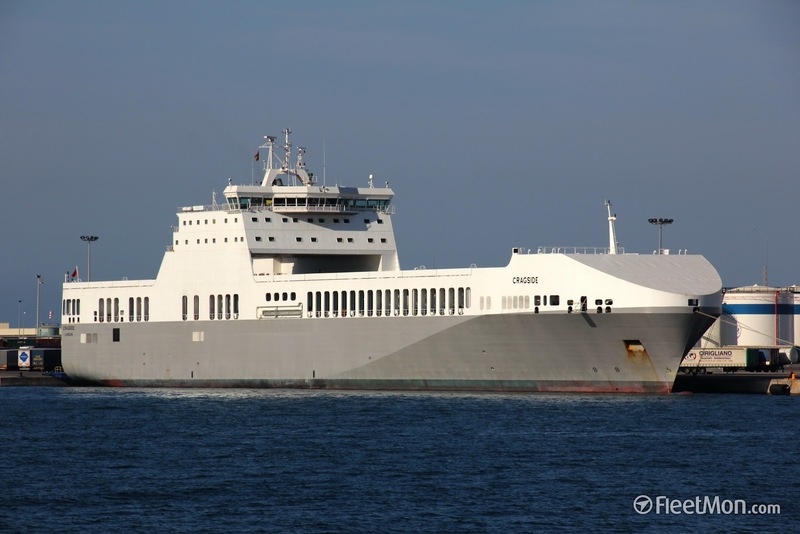 Likewise the US are using the MV Ocean Trader, a converted RoRo, as a Special Forces support facility - with a deck and hangars big enough for the Osprey and the Sea Stallion. In my view, Canada would get good mileage out of commissioning another pair of civilian ship conversions with large warehousing capabilities, compatible with the full range of Canada's current fleet of helicopters and current range of weaponry. Built to similar standards as the Asterix at something like 500-800 MCAD each, possibly manned by civilian mariners, I believe that they would be of great value to any government both domestically and diplomatically for military and civil missions. We don't have to build ships with the ability to storm ashore to be able to make ourselves useful. To be fair, the Lewis B. Puller supports your argument well, but the Montford Point doesn't. The latter is really to provide additional connector to bring afloat equipment and supplies at of the maritime prepositioning ships in the abscence of a pier head. I continually am surprised in the depth the US afloat prepositioning program has. I had the fortune of meeting a USN Captain who commanded a prepositioning squadron before he came to NATO at SHAPE during an exercise. The ability of the prepositioning force to go over the beach (unopposed) with it's own lighterage, even without Montford Point and her sister, is truly impressive. They also have deployable jetties and a ship whose sole purpose is to transfer bulk POL from tankers over the beach by a deployable pipeline. I would make the observation that the USNI article is another part of the quite open discussion they are having about the balance of transport helicopter, air support, equipment, assualt watercraft, supplies, and troops they need. It is a long term plan as once they decide that balance they then need to acquire the right assault ship force. The fact that Anerica and Tripoli were built without well decks, but the next in class has them, indicates the Captains views are not the only in the mix. The Royal Marines are also making the same decisions on a smaller scale, with Ocean being in effect replaced by a strike carrier, Prince of Wales. Thankfully for them they didn't lose Albion and Bulwark like looked possible a year ago, or they would be forced to do it all be helo as those ships are really the heart of the water borne assault force. Following your words ... considering our GDP and position on the G7... we are not the ones with higher GDP nor the ones with more population. Nor should we have big problem to defend sovereignty on our territory, just in the Arctic. Being the case we don't have so many resources, both in terms of money and human ones. And being the Arctic issue treated in other thread, mostly requiring long-endurance submarines (nuclear or AIP). Up to what extent should we need an amphibious force? I believe Canada should be ready to do what it has done in the past: been able to support our allies ... even before the US enters the conflict. Of course, having some (small) amph. capacity is nice, specially when relieving on humanitarian crisis. But I would not focus too much on beach deployments, which - as the article states - are better performed with helos. Instead we should be ready for "harbour deployments" and on top of that, to protect trade and convoys, to maintain the supply chain of our allies at the other side of the Atlantic or the Pacific. If these are safeguarded, then our (land) troops may be deployed and disembarked safely onto ally ports where they will join their forces for further operations. Therefore, to keep the seas open, not only a series of surface combatants may be needed, but also ASW & AEW helos or UAVs , submarines, MCM vessels and specially the capabilities to mass-produce more of them should the conflict extend on time. I respectfully disagree. At the risk of going around the same buoy again as these forums have in the past, I will just say I am in agreement with the stated policy of the RCN, as published in Leadmark 2050 page 47-48. However, I have no confidence Canada will acquire the ship(s) as described, nor the required helicopters or shore connectors, nor the needed operational skill set. Much like the discussions here, it's just words. Which are then hedged, much as you've done by saying we don't have *that* big of a threat or *that* big of a GDP. See the Australian example; they are *not* a G7 country. By the way, the author of that article is a US Marine captain, not USN; ie a field grade officer. He is just orofessionally providing his opinion to the discussion, not stating current doctrine or a full staff assessment. Such measures will improve the future fleet’s agility and capacity to respond to disasters at home and abroad. However, recent operations by the RCN and allied navies have highlighted a pressing need for the Canadian Armed Forces to consider the acquisition of a dedicated peace-support ship to meet the unique demands of HA/DR. Even in relatively permissive environments, such operations typically unfold in chaotic conditions, often hampered by extensively damaged—or entirely absent—transportation networks and infrastructure. Such a ship would act as a seabase, with features that include a substantial sealift capacity to move personnel, vehicles, force logistics and humanitarian materiel into theatre. There would be equipment to embark/disembark cargo as well as transfer cargo at sea, and deck space to accommodate and operate medium- or heavy-lift aircraft and landing craft. This would act as the ship/shore connectors to project, sustain and support a force ashore, as well as to recover it. The internal space could be dedicated to a joint headquarters, civil-military coordination centre, as well as medical and dental facilities and accommodations for evacuees. Such a vessel would likely be among the most heavily used assets in the future Canadian Armed Forces inventory. It would be capable of anticipatory pre-positioning or rapid deployment, be able to carry large volumes of humanitarian cargo, emergency vehicles and related supplies, and be equipped with facilities to act as a floating civil-military coordination centre. With these features, a peace-support ship would be an ideal platform for joint action across a range of relatively permissive expeditionary scenarios. Situations where the ship would be used include the evacuation of non-combatants from zones of incipient conflict, as well as support to forces ashore during a post-conflictrecovery or stabilization period. Moreover, such a vessel would likely emerge as the principal Canadian Armed Forces defence diplomacy asset. It would be deployed routinely to regions of strategic interest to Canada, with a range of personnel and joint capabilities to strengthen regional capacities and strategic partnerships. More broadly, it could conduct goodwill missions with other federal agencies and non-governmental organizations. Navies have made significant contributions to international disaster relief operations. These include the Indian Ocean post tsunami, 2004; Orleans post Hurricane Katrina, 2005; Haiti, post earthquake, 2010; Burma, post Cyclone Nargis, 2008; Padang, post earthquake, 2009; Pakistan, post monsoon flooding, 2010; Japan, post earthquake / tsunami, 2011; and The Philippines, post Typhoon Haiyan, 2014. According to a recent RAND analysis, naval HA/DR operations are especially useful in the broader Asia-Pacific not only because of the essentially maritime character of those theatres, but also because the region suffered more than half of the world’s major natural disasters. Afterthought: the ship envisioned by Leadmark could absolutely and probably should be a converted commercial vessel. It describes a non-opposed over the beach capability. Nobody (well maybe very few) think Canada should be able to kick in the door. But what the USMC Captain is discussing is the best force to conduct opposed littoral maneuver; he is talking about kicking in the door. The reason Canada needs this capability is because it is likely, and has already happened in Haiti, that the RCN will be involved in some type of operation where the infrastructure is destroyed and or unavailable and you need to get lots of stuff ashore. You can't do that with helicopters, you can't do that with transport aircraft (esp as if the port facilities are unavailable it is likely the airports will be unavailable as well); you need big ships stuffed with real things and the connectors to get ashore. You also need helicopters to get smaller and less stuff farther away quickly. On a side note, there was an element in the army that helped kill SCTF. The argument, and if I had enough energy I could provide open source citations, was that anything less than kicking in the door wasn't worth it. So they were saying that we needed the equivalent of an MEU embarked in a ARG... which, for Canada and most nations outside the US, is ridiculous. Another afterthought: what do Canadians think (I know, they don't think about it) will happen if an earthquake takes out the infrastructure in lower mainland BC? We'll ask the Americans to bring in stuff over the beach, supported by countries that have the capability like Australia, Japan, and South Korea (as it will take some time for Europe to show up). And important in that stuff will be equipment to fix some jetties, and start to push a route up the Fraser, while 1CER helps CN/CP push a route down the Fraser. And which beaches will have priority? Those near Vancouver or the ones near Seattle? 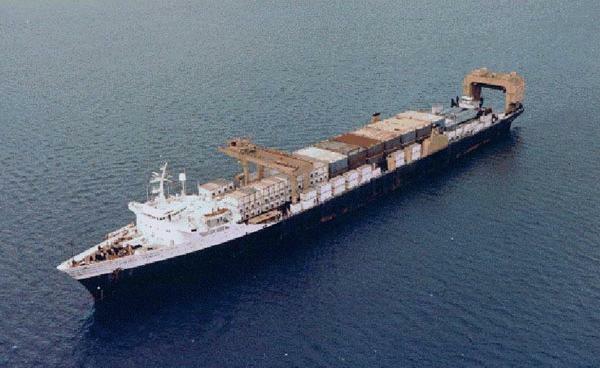 At least if we had one peace-support ship, like the RCN envisages, with surface over the beach connectors, we could run down to San Fran or LA and unload some of that military stuff, load up on needed stuff, and come back and push it over the beach ourselves. Which may make others more inclined to help us. How many helicopters would it take to move enough stuff to feed Vancouver? By my recollection we had around 300 at one point for Katrina, and according to the press accounts it still wasn't enough. I was in PRO for OP TOUCAN where we acted as the fueling support unit for the forces ashore. Basically we'd fill the ship up with fuel and stores in Darwin and then drop anchor in Dili Harbour. Then Aussie landing craft would embark fuel trucks and bring them out to us (I think there was 2 trucks and trailers per LC) to transfer the fuel and stores. We had two landing craft but they were such garbage that we only used them once. Having a well deck, a decent LC and room for more helicopters would have made us a force to be reckoned with when it comes to HA/DR. With the destructive power being displayed by todays Hurricanes, Typhoons and Cyclones it stands to reason that ships like Australia's HMAS CANBERRA will become more and more needed. Sadly our political class and military leadership seems to be unable to see a way towards requiring this essential asset. Not to mention the Federal Fleet Service model shows us a way forward both in procurement/refit of such a vessel and crewing. The plus side of that crewing model is that it is also a perfect place to train the next generation of Canadian Merchant Marine, so you can ship pilots and Masters as needed. Thanks BAZ for your insightful and instructive replies. I can only agree with most of you have said. You have shown me there is a gap for one or two HA/DR ships, as to develop the skills, including shore connectors (lcu,lcm) needed when infrastructures are broken. And that gap should be filled, i agree. Yet the type of vessel is to be decided, i think that the Mistral class would play well the role with no need to go for Canberra class. Beyond that, I wanted to suggest that, should the scarce resources allow for that, should Canada reach the 2% defence budget target, other gaps are also to be filled such as renovation of the MCM ships or the increase of the submarine fleet. These are not so much personnel demanding and therefore may be sustained more easily on a long-term. I found https://www.thinkdefence.co.uk/ship-to-shore-logistics/uk-amphibious-doctrine/ very useful to understand what is actually required to come over the beach in order to rebuild a port facility. It equally applies to post opposed landings and unopposed or HR/DA ops. Contender Bezant; notice the container cranes. Finally, it includes the concept of how Federal Fleet Service has obtained and operates the Asterix; ie civilian crew and master with a military detachment (including a lot of loggies). Obtain two Ro-Ros with stern ramps (big ones!). Converted the container deck to a flat landing pad, but still with the capability to put containers on top. Include an elevator to get down to the top vehicle deck so you can store helos down there, and maybe even use it as a hanger for maintenance. Include one travelling crane which move along tracks at the port and starboard side of said deck, and includes fold down wings to extend over the side. Build in modular spaces for operations, berthing for an embarked force, and hospital. Normal loadout would be modular space, hangar, and vehicles and equipment below, one spot flight deck, say two spots unusable as they have embarked lighterage, and the rest containers. When you have to go over the beach, some of the lighterage is used as a stern "jetty," and the rest is used as the ship to shore connector. As soon as you put the lighterage over the side you free up helo spots for more intense operations. Containers can be hoisted over the side onto lighterage. When in protected waters but no shore facilities are (yet) available, you can bring STUFT (ships taken up from trade) Ro-Ros along side and they can use your lighterage to put down their ramp and unload, and your crane to pick containers of, stage them, and then over the side onto lighterage. When you obtain jetty space but not yet have the infrastructure up to move containers use shore cranes you can put them over the side yourself, and you can bring another container ship alongside you and move theirs. When container cranes are available you load and unload just like a normal Ro-Ro. Finally, if you want to go air heavy, get rid of the lighterage before deploying, carry no containers topside and all your air stores, hangars, and accommodation below, and have 4-5 spots topside. Park the crane out of the way back by the bridge. For completeness, *possible* include two RAS spots , one each side immediately forward of the bridge. Or may the crane could be used to erect RAS gear; an expert on RAS would have to weigh in. To me, one of these on each coast would give us a very flexible asset we could bring to any littoral ops, and then we wouldn't just show up. We'd have a credible asset to bring to the mix. Point taken on the Commander Bezant and the lack of the need for the well deck, Baz. A further, related, model for consideration - rather than incorporating a well deck - is the LASH or Lighter Aboard Ship concept. The principle difference between the Commander Bezant and the LASH is that some or all of the containers are replaced by barges. The barges can be towed, self-powered or a mix. The other difference is that the gantry cranes would extend out over the stern and allow the deck cargo to be lowered directly on to the water abaft the stern. AK 1005 (T-AK 2046) Austral Rainbow, was [apparently until mid-1998] one of three ships currently under charter to support the U.S. Air Force's ammunition prepositioning mission. Austral Rainbow is a LASH, or lighter aboard ship, vessel built in 1972. 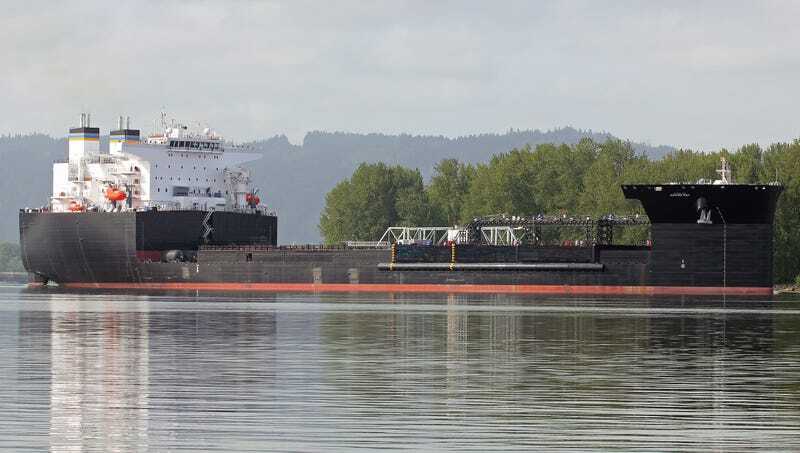 It is 820 feet long, 100 feet wide and has a deadweight tonnage of 41,000 long tons. In its current configuration, Austral Rainbow can carry up to 100 20-foot containers, 74 LASH barges and two pusher boats. The two pusher boats are used to move barges which have been unloaded into the water. Each barge can carry as much as 250 long tons of cargo. The ship sails at a speed of 16 knots. Austral Rainbow is currently prepositioned in Diego Garcia. The ship itself is not the answer but the deck equipment may be part of the answer - an extension (if you will) of the Commander Bezant solution. And by the way: I too am a fan of "thinkdefence". The type of ship we are talking about now could also be used by an outfit like Federal for commercial purposes. An ice strengthened variant would be able to assist in strengthening communications links in the north and reducing the cost of shipping. Basically an extension of the King's Highways which, since at least the time of Darius, has provided both commercial and military value to nations that invest in them. The value of the ship, of course, is that it is possible to pick up the Highway and take it with you wherever you want to go. So - a threefer? Splitting the costs amongst DND, Transport Canada, Industry Canada, Northern Development? Providing a service that would permit the CAF to deploy internationally. "Four of the Ro-Ro ships are permanently contracted to the MoD with the other two at notice for MoD tasking. For the two ships at notice, one can be accessed in 20 days and the other in 30 days."